Whether you’re ready to purchase replacement windows soon or in the near future, it’s important for homeowners to be informed buyers. Not only are there many options when it comes to selecting the style and material of the windows, but there are additional factors to consider. While you may think that windows last forever, the truth is that, like anything else in your home, the time will come when they need to be replaced. But how do you, as a homeowner, determine when that time is? Do your windows leak? Are there gaps between the window and sash or the sash and frame? Are they difficult to open or close? If you answered yes to any of these questions, replacement windows may be in your near future. One way to know if you should consider replacement windows is if the structure of your windows is noticeably changing. Another indication of failing windows is inefficiency. Have you noticed your energy bills going up, but not your energy rate? Do your windows feel exceptionally drafty? 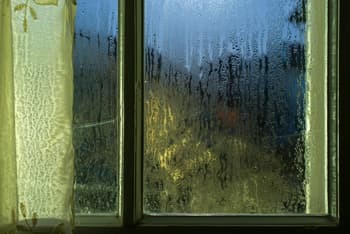 Is there condensation between the panes of glass in your windows? If you answered yes to any of these questions, again it might mean it’s time to consider replacement windows. The bottom line is that if you feel drafts coming from your windows or they are fogged up between the panes, you’re probably losing energy through your windows and throwing money out of them. Windows are one part of your home that can be seen from both the inside and outside. Therefore, they should complement the exterior architecture of your home as well as your interior décor. 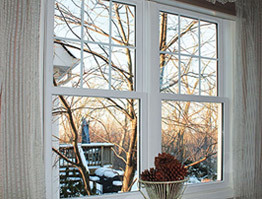 Some choices for window varieties include: double-hung, bay, bow, sliding and casement. 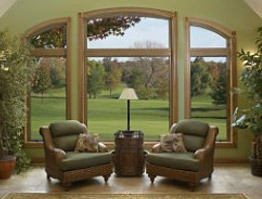 When you work with a professional window company like Stanek® Windows, you can create a custom window sizeand design. Choosing replacement windows that fit your personal style and needs is a great way to improve curb appeal and possibly add value to your home. Up to 70-percent of energy is lost through windows or doors, and 90-percent of that heat escapes through glass. If you feel your monthly utility bills are too high and it’s time for replacement windows, choose a window with a lower U-value. The lower the number, the less heat you will lose during colder months. If you want a window that will keep your home cooler during the warmer months, choose a window with a low solar heat gain (SHG) number. Considering both of these ratings when choosing a window can provide year-round energy efficiency. Wood, aluminum and vinyl are all potential options for window frames, but there are things to keep in mind about each type. Moisture can warp wood windows over time, which may cause splintering and sagging. The color of wood windows can also fade and requires more upkeep to paint or stain them. Aluminum windows won’t rot, but they can oxidize. Aluminum windows can also be very hot or cold to the touch based on the weather outside, meaning they are not a great barrier to the outside temperature. 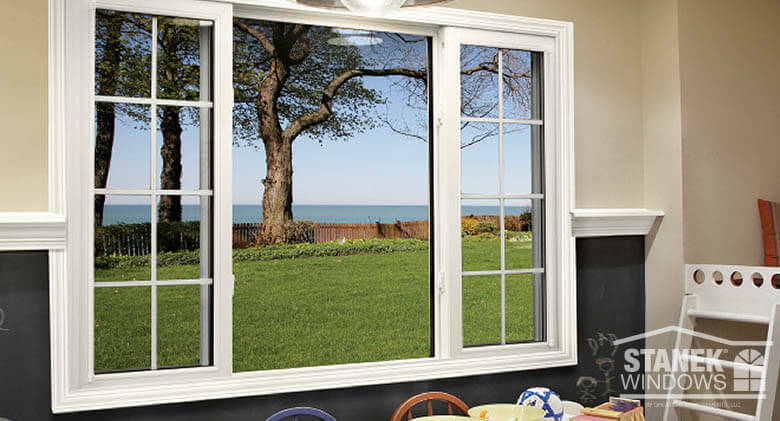 Vinyl replacement windows are highly weather-resistant and can be made with unplasticized PVC (uPVC) that is water-resistant, safe and strong. Vinyl windows have the least amount of upkeep, as they are fade resistant. Even the highest rated and best quality windows won’t do you any good if they’re installed improperly. You wouldn’t want to throw money away by having an untrustworthy or disreputable contractor install them. Be sure to properly research the company you choose by looking at the company’s website, online customer reviews, certifications and any other information you can find. Stanek® Windows takes pride in every window and door we manufacture and install, and ourcustomer reviews showcase how committed we are to superior customer service. Are you ready to learn more about replacement windows? Download a complimentary copy of our Ultimate Window Buyer’s Guide: Top 10 Tips for Buying Replacement Windows to learn more about choosing the right company and windows for your home. Once you are ready to replace your windows, contact us to schedule a free, in-home estimate.